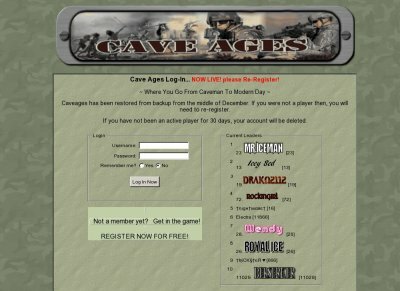 If you do not wish to vote at this time, click here to visit Cave Ages stats. Come to Cave Ages and travel through time and Ages to be best and baddest of all time.. Past Present and Future. Bring friends, Make Tribes and fight your way to the top.